In the golf swing, you need to be able to do a combination of side flexion (frontal plane movement or side to side motion) and rotation (transverse plane or rotational movement) in your core to wind up your torso to create power. Your obliques, along with erector spinae and abdominals are responsible for side flexion or lateral movement in your golf swing. If you have limited range of motion in any of these areas, then it is difficult to create the positions needed to get power. 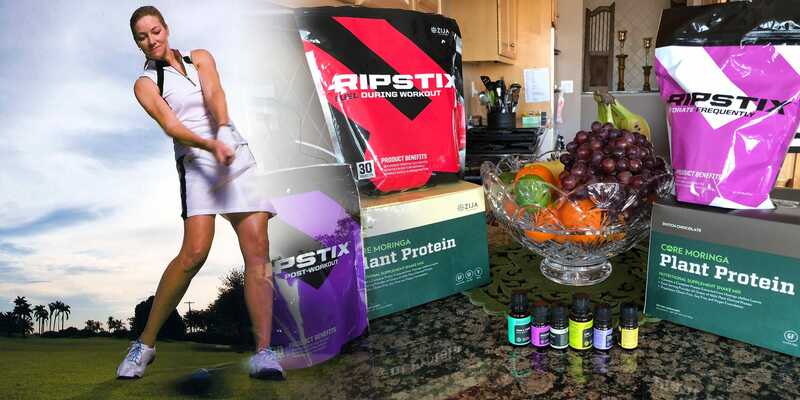 Although it is not necessary to know exactly what anatomy is used in the golf swing to play your best, having some awareness of what muscles are used can help you prepare your body to move at its best. Having weak or tight oblique muscles could lead to swing flaws. Having an awareness of how to activate those muscles could help you move and swing better. 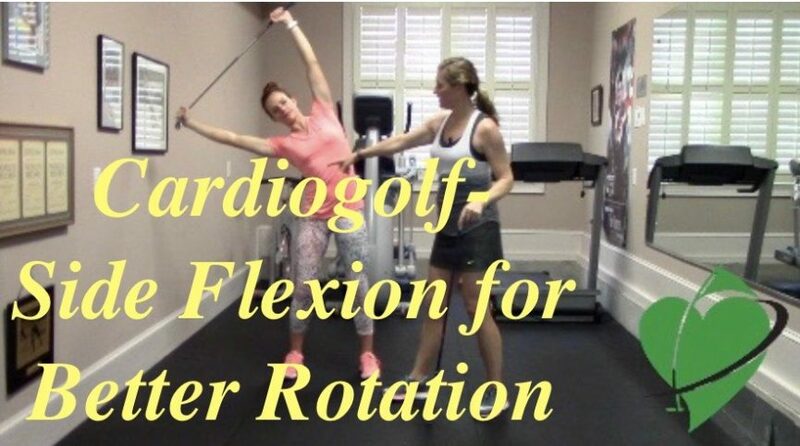 This side to side Pilates inspired exercise is one of many dynamic exercises that I incorporate into the Cardiogolf Pre-Round Warm-Up Routine that can help you increase your core temperature, prepare your nervous system for performing the golf swing, and strengthen your body. If you incorporate this exercise into your daily routine, you could strengthen those muscles and fire up your swing. Stand in a modified golf stance holding a golf club parallel to the ground. Extend your arms above your head, inhale and then lean to the side. Exhale and return to the start. Do 8 to 10 repetitions on each side.